About June 19, 2012 I visited the Stirling Cemetery in Stirling, Hastings County, Ontario and took some photos and walked this cemetery. I wrote about it at this link. On September 17, 2014 I once again visited this cemetery in Stirling. Before I went walking in this cemetery I knew I needed to get some food. The Odd Cup in Marmora I couldn’t find but maybe I didn’t go far enough? Anyway I ended up at the Mad Dog in Stirling near Hwy 33. I don’t remember it being there before. 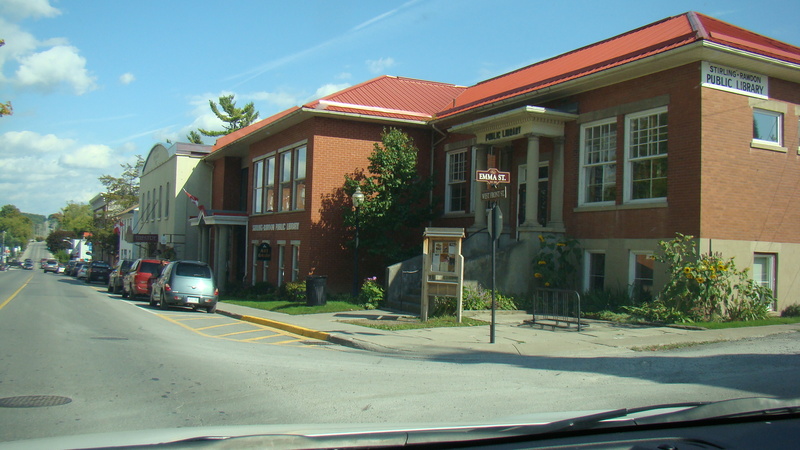 Stirling has a nice library and a genealogical historical society area of that library. Once back at the cemetery, I started by trying to use the maps that had been copied into the cemetery book that I referenced in the above post in 2012. The book is set up with a listing of the buried by section. Each person has a number counting from 1 to 300 or so burials. The names and numbers of each individual do not correspond to the maps. So instead of reading this row by row across the cemetery it is done by section. The information as to where the count is started and ends is brief and unhelpful. The circular section A no longer exists because the road is no longer there. I tried to find the Browns buried there and in order to do this I made a spreadsheet with names etc. I used the maps as a guide and simply walked the cemetery till I found them. It is a hard business to do that so it was good I had lunch. Be advised that there is not direction on the maps in this cemetery book. You have to turn the taking the right side of the map and turning it up and this might help get hem so that they are oriented correctly.  Much to my happiness I did find all my Brown tombstones except for about two and I am okay with that. I found Philip Brown’s stone. He is my great grand-uncle. Unfortunately I could not find his wife Margaret’s inscription or stone. There is room on the large stone that is Brown and maybe if I can get it done without too much cost I can get her and him a name plaque to be added. Something like in memory of the Brown family who came…..cool! When I return to my home I will share more details of this cemetery. I wish I had time to photograph it in total so I could add it all to Find A Grave but it was hard enough to find the stones that I was looking for. The most important part of this is I now know who these people are in the family tree for the Browns and I plan to do more in-depth posting on the lineages down from the four brothers George, Thomas, Phillip and Henry who I believe I have completed see my post dated August 29, 2014. 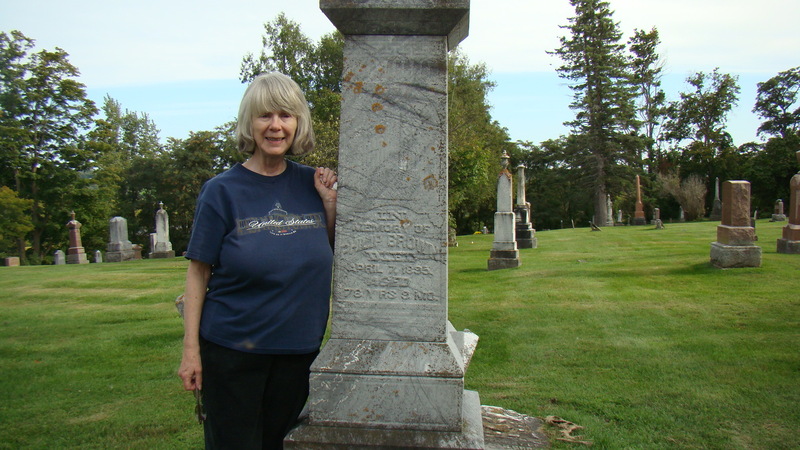 This entry was posted in Hastings Co., Margaret McMurray & Family, Philip Brown 1817 to 1895, Rawdon Twp., Stirling, Stirling Cemetery, Trip to Ontario and Canada 2014 and tagged Hastings County, Stirling Cemetery on September 27, 2014 by BJ MacDonald. 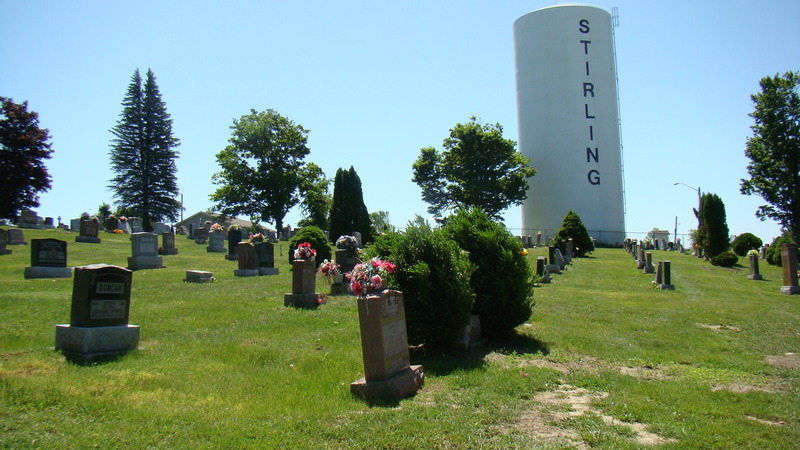 The Stirling Cemetery is in the northern part of the city. Before I visit a cemetery I like to find a publication of that cemetery. This is especially true when the cemetery is large and this particular cemetery is a good size. 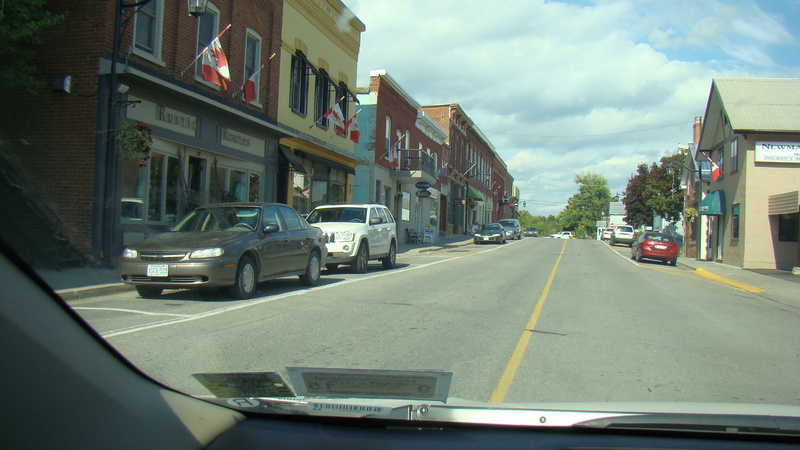 It is located on Edwards Street north of Wellington Street. I drove up Mill Street which took me through the main part of the city of Stirling and then I turned up Edward St. On your left is the Catholic Cemetery and up a little further is the road that takes you into the Stirling Cemetery. There is a row of trees on either side of the entrance. The Stirling Cemetery is on a hill so you do climb up fairly steeply. The Stirling water tower is also on this hill. Here is a link to a website where a very kind person posted photographs of the tombstones for many of the cemeteries in Hastings County including the Stirling Cemetery. The website is done alphabetically. (As of 2016 I cannot find this website and think it has been removed). 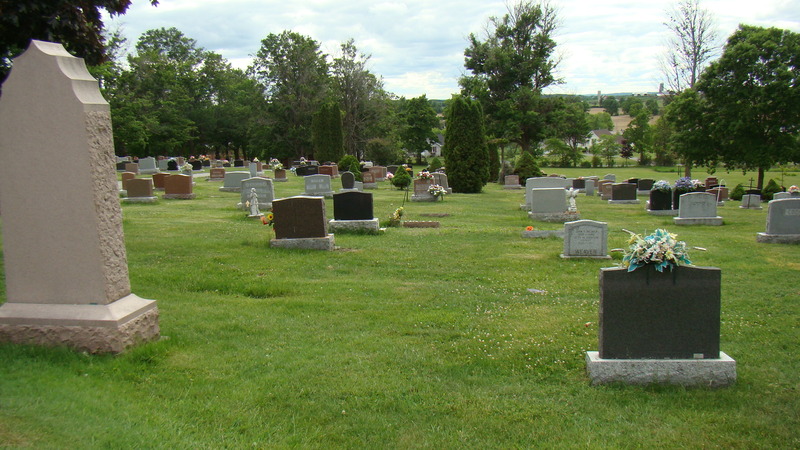 Source: “Stirling Cemetery (Concession 1, Lots 16 & 26, Part of Lot 10) also Anglican Burying Ground 1847-1878 Lot 48 in Village of Rawdon,” Recorded and Indexed by Eleanor Botting 1994, Quinte Branch of the Ontario Genealogical Society. This book is at the Stirling Historical & Genealogical Centre in the Stirling Rawdon Public Library or at the Quinte Branch of OGS. I found this book frustrating and I think it is done by plots and not by rows. This means that the name might not be the one you are searching as listed on the maps that are provided. It was divided up into sections in the book I was looking at and they had nothing to do with the maps. It was very confusing. I actually looked at it twice, one at the Stirling location and again at the Quinte Library in Trenton. Frankly I had a lot of trouble finding the tombstones for the surname of Brown. I was not successful even after two trips and that is a first for me. I had specific ones I was looking for and some were easy to find and others elusive. It was either they had been broken and removed since 1991-1994 or buried with debris. There was an overview map but I found it very confusing in showing the sections. So you see I need to study this all more carefully and do another post about this cemetery. I will be returning on my other part of the Ontario trip later in the year and maybe by then I will have a better fix on this cemetery. What I will do here is just give a photographic overview and post the rest of my pictures at a later date with the link to them. At this point I am only half way through my trip to Ontario and Quebec so I have a lot more of my adventures to cover. UPDATE 7/9/2012: Below is a link to additional photographs of this cemetery. I am afraid I did not do a really good job of it. 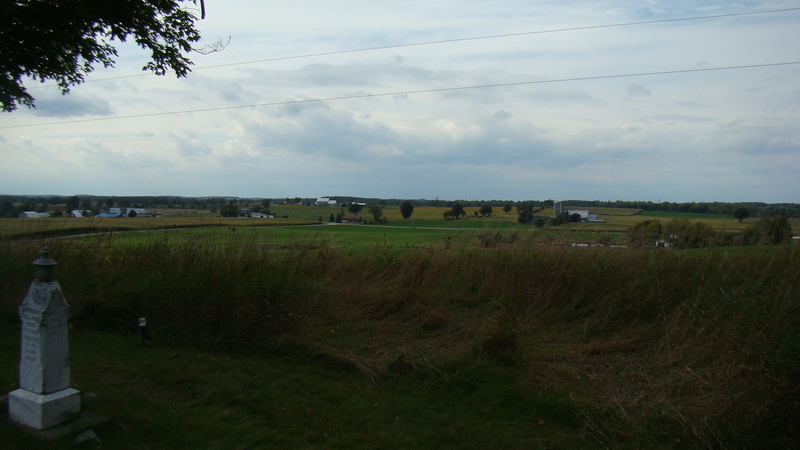 Most of the photographs are overview and you can see it is on a hill. 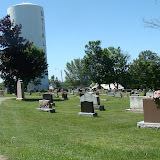 This entry was posted in BROWN Surname, PAST GENEALOGICAL RESEARCH TRIPS, Stirling Cemetery, Updates and Corrections and tagged Edwards Street, Stirling Cemetery, Stirling Water Tower on June 19, 2012 by BJ MacDonald.